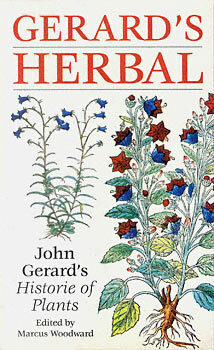 John Gerard (1545-1612), the renowned Elizabethan herbalist, combined his delight in flowers and plants with a very practical knowedlge and philosophy. In 1597 he published his Historie of Plants, the most famous of all herbals. It was a stunning compendium of the properties and folklore of plants. His wisdom ranges widely over such diversities as violets and thyme, mallows and thrift, tobacco, potatoes, rhubarb, or the then newly fashionable strawberries. What such things are like, where they grow and when, their various names, and not least their 'vertues' as food or for health, are all described in Gerard's learned words. Marcus Woodward has here distilled and added notes to the best of the 1636 folio, including Gerard's fascinating description of almost two hundred plants. The result is an essential pleasure for all who cherish flowers and fruits, gardens and orchards, and the traditional ways of rural life.